Savoury - cream cheeseOR crumbled feta cheese OR crumbled paneer/ cottage cheese, flavoured according to your choice. You can also use any other savoury filling that you want. I used a combination of crumbled paneer, herbs, chilli flakes, a little garlic and chopped spring onion. Combine the milk, sugar and yeast in a small bowl and keep for 5 minutes. In the meanwhile, prepare to make the dough. Make sure your melted butter has cooled down a bit before using it. Put 2 cups of the flour, salt, sugar (if making the sweet bread only) and melted butter in the bowl of your processor. Run a couple of times to mix well. Add this to the processor bowl and knead until you have a smooth and elastic dough which is not sticky ( I hand-kenaded ). Add as much of the remaining 1/2 cup of flour as you need to get this consistency of bread dough. You may need to use the whole of 2 1/2 cups of flour. Let it sit for a while for the syrup/ glaze to set a bit. Serve them warm with tea / coffee. 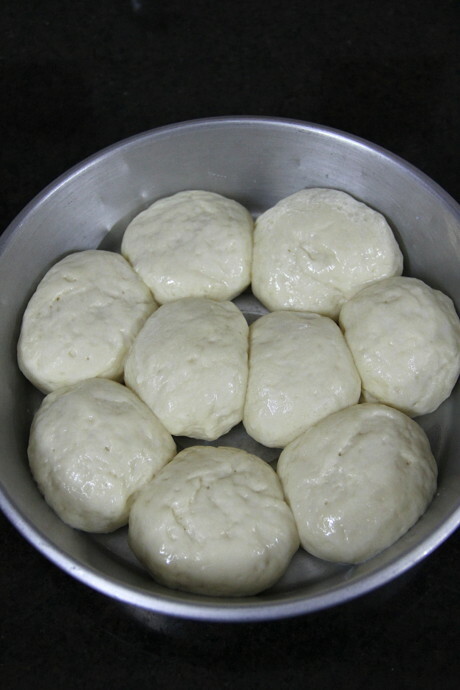 I baked these buns soon after I got back from a long holiday; the minute I went through the recipe, I found myself kneading the dough. It was already night and hence night shots. The buns were too good that they got over for dinner! I had plans to make a fresh batch of them again and take decent pictures in day light, but never happened. So please bear with my not-so-pretty images this time :) I had to post the recipe before it got too late. tempting inviting honey comb buns. Got logged off before I could finish :( Partybrot are German-Swiss bread recipes. Goes to show that some recipes are pretty international! I love the texture of these bread. Have you tried the water roux for this one? I find it turns out great. I will try the syrup idea at the next party :) hugs! u did a good job baking these buns! So soft ad delicious looking honeycomb buns. Wonderfully prepared. I didn't even notice these are night shots! 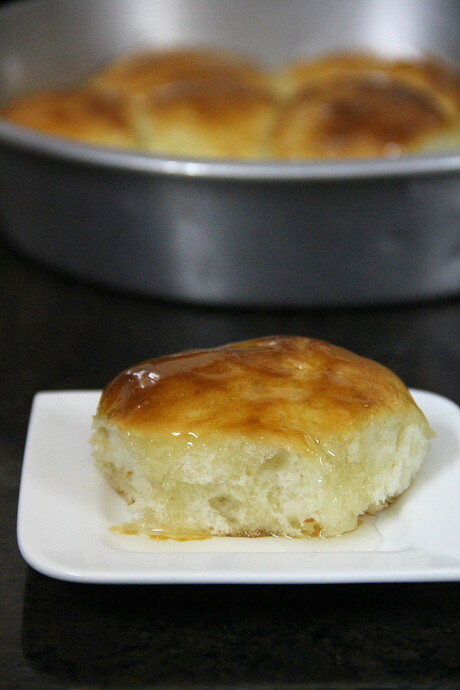 I'd love to bake these soft buns right now!